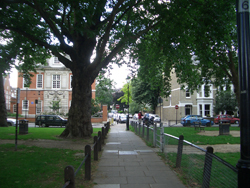 Although Rowan Road and Brook Green is a leafy, quiet residential area, busy Hammersmith Broadway, convenient for all your shopping, socialising and transportation needs. is just round the corner. King Street is a bustling thoroughfare full of banks, internet cafes and the main high street retailers. 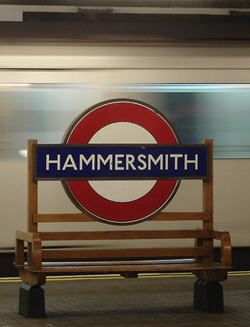 Hammersmith Underground Station is less than a 5 minute walk – Piccadilly Line, District Line and Hammersmith & City Line. Hammersmith Bus Station gives access to all areas not only in London but the west country too. The Oxford coach service (Oxford Tube) stop is a 20 minute walk. Heathrow Airport is 45 minutes by tube (20 minutes by taxi at 6am). Excellent roadlinks, with the M3, M4 and M40 particularly accessible. Eating: The area is bursting full of restaurants, pubs and gastro pubs of all nationalities and catering for all pockets. Entertainment: Hammersmith Apollo, The Lyric Theatre, Shepherds Bush Theatre, Cinemas, Riverside Studios are all close by. 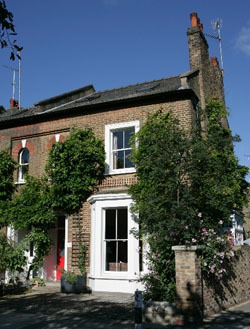 The River Thames is in walking distance, with several charming riverside pubs including The Dove, a tiny 17th century pub steeped in history serving excellent food. Olympia Exhibition Centre is a 7 minute walk. Earls Court Exhibition Centre is two stops away on the Tube. 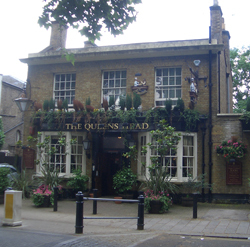 Queens Tennis Club is a short walk. Westfield Shopping Centre is a five minute bus ride and High Street Kensington for serious shopping is a 10 minute bus ride. Piccadilly Circus and the West End Theatres will take half an hour by tube.